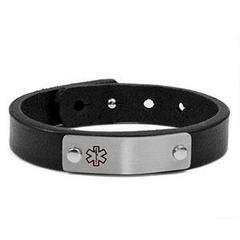 Black Leather and stainless medical id bracelet is adjustable and fits wrist sizes 5.5 to 8 inch. 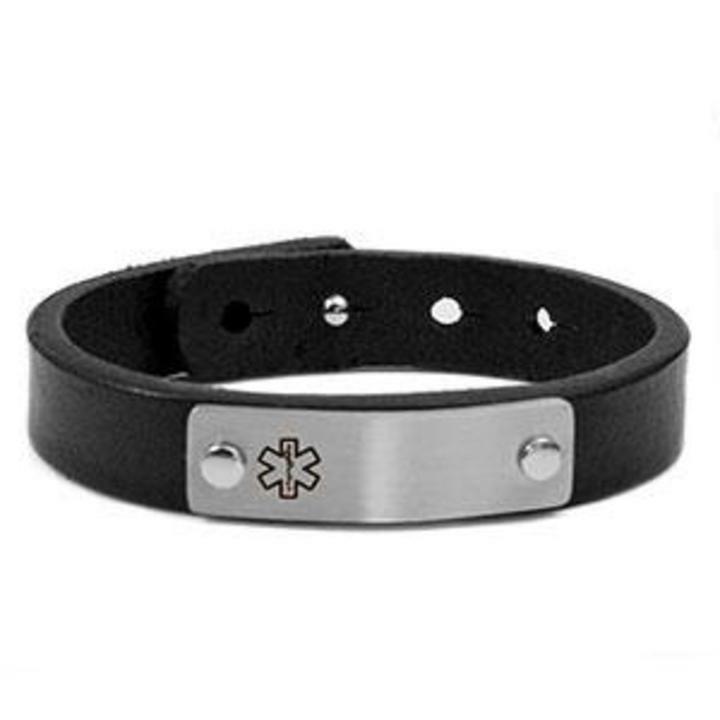 Tag is stainless steel. Pegs are made of silver plated bronze. Other pegs holding tag are made of plated iron.